The Feline Control Council of Queensland Inc.
Our aim is to promote responsible breeding and ownership including the desexing of cats sold as pets and control of feral and stray cats. We also support those people actively involved in rescue work. As a Governing Body, FCCQ Inc. offers its Clubs and breeders advice, guidance and support when possible. We hold regular monthly meetings where Delegates from each member Club are represented and general business regarding the Cat Fancy is discussed and deliberated. 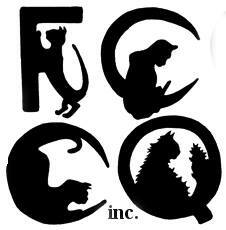 Affiliated Clubs of FCQ Inc. run regular cat shows and are active in promoting and displaying cat breeds to educate and inform the general public. The FCCQ Inc. has a fully computerized system of record keeping and can therefore offer breeders fast and accurate services of the highest possible quality.